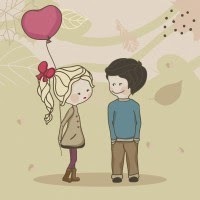 Cute Love Shayari of Bachpan Ka pyar is page which include best Hindi shayari ,sms,and status collection created to enjoy the innocent love of childhood. Rate this ultimate and simple collection of Hindi Sher-o-shayari based on Cute Love Shayari of Bachpan Ka pyar. बचपने में की मोहब्बत का अपना ही मज़ा है. उसकी गली के पैदल चक्कर काटने का बड़ा अजब स्वाद था..
कटी रातो का मज़ा क्या बताऊ..
वो स्कूल का आखरी दिन भी अजीब था..
जिस से दूर भागता था आज जाना चाहता उसके करीब था..
जब पता लगा तो वो पास न थी…!!! Tujhse Itni Door Chala Jaaoonga !!! I love poetry because it heals wounds on my soul. Shayeron Key Intakhab Ney Ruswa Kia Mujhay.